The act of judging a foreign culture for meaning and moral value is attacked by post-modern critics as an example of bigotry. After all, what standard are we using to judge another culture? Does the Bible present a cultural norm to which all cultures must conform? If not, who are we to use the Christianity developed in the West to judge the expression of Christianity in Africa, or Asia, or Latin America? These are good questions, and questions the church has only seriously faced in the last 100 years or so, as Christianity has truly become a global phenomenon. On the face of it, it seems we are stuck. We cannot escape our own cultural worldview. We can do our best to become aware of it, but that is like telling a British child in a British school to become aware of his British accent. We are embedded in our cultures, and by definition, do not notice the things we take for granted. How do we judge another culture fairly? The missionary’s dilemma is twofold. First, the target culture may not have within it forms appropriate for Christian use. Second, he wants to sort through his own thinking to know what is peculiar to Western thinking and inapplicable to other cultures, but how does he do this objectively? To uncritically embrace the forms of the target culture alone would be cultural naivete, foolishly believing that every cultural expression is neutral, communicates biblical truth helpfully, and has no bearing on how meaning is perceived. To simply trust and transplant his own tradition may be to fail to translate the gospel and whole counsel of God into terms and forms that the culture understands. It’s also to assume that what was developed over hundreds of years can be stuck onto another culture like a decal. So where do we and he turn? For a missionary to become aware of the extraneous part of his own cultural expression of Christianity and to properly judge the culture he now seeks to reach, his best resource would be to turn to the Christianity of the past. If he reads copiously from the writings, prayers, hymns and biographies of the saints of the past two thousand years, he will begin to discern various patterns. For one, he will notice what Christians have shared across serious cultural shifts: the Roman empire and its fall, the Dark Ages, the feudal system, the Renaissance, the Enlightenment, Modernism. He will notice what has become a permanent fixture in the thinking and expression of Christians across languages and continents: Augustine in Africa, Bernard in England, Gregory in Turkey. He will also smile at their cultural idiosyncrasies, and how they often took them to be gospel truth. By living with the church of the past, he will pick up the scent of true catholic – i.e. universal – Christianity. Hopefully, he will begin to notice some of the idiosyncrasies of his own Christianity, and be prepared to hold some of them loosely. He will see what is essential and universal in Christian worship, fellowship and discipleship. In other words, he will have a sense of what is timeless to good ecclesiology, and will arrive in a foreign culture ready to start doing the hard work of parsing individual cultural forms for their usefulness to that vision of catholic ecclesiology. If someone would argue that a study of church history would be a study in Western thinking, my reply would be, well, yes. Do we think God’s sovereign oversight did not extend to this fact? Why did early Christianity in China and India so quickly turn to Nestorianism? Why did Christianity in Ethiopia and the Byzantine kingdom lose the essentials of the gospel? Why did Western Christianity experience a Reformation, while Eastern Orthodoxy never did? I do not know, but there was something in the West which God used to preserve biblical Christianity. To be embarrassed by this fact would be to disdain providence. God used the West to preserve the gospel, and to develop forms which best expressed it. It is no sin to be thoroughly acquainted with these forms and how they communicate. This is a helpful position to be in to judge both the Christian culture from which the missionary hails, as well as the culture to which he now goes. Truly indigenous churches will preserve and spread biblical Christianity, not merely in propositional form, but also in art forms understood by the Christians of that culture that best carry the full meaning of Christianity. They may have to do so with barbarism in full bloom around them. The existence of such churches around the globe would be, to me, a successful and obedient implementation of the Great Commission. David, I appreciated your early emphasis on the dangers of cultural blinders. I would encourage you to extend the same caution toward an essentially Western understanding of Christianity; the survival of Western Christianity is not necessarily proof of its relative probity. In other words, the fact that Western Christendom dominated Global Christendom from the 1500s (give or take) to the end of the twentieth century does not mean it is the only authentic expression of Biblical Christianity. To say that Western Christianity has divine sanction because it is the last man standing is tautological (we know it is because it is). A helpful introductory guide to non-Western Christendom from the early Church to the present is Philip Jenkins's "The Lost HIstory of Christianity." It's a well-written, insightful study of the Eastern church. Jenkin's book sounds interesting, and I'd be interested to learn more about the Eastern church. I do not say that Western Christianity is the only authentic expression of biblical Christianity. (I'm not sure that anyone associated with this site would make such a claim.) Nor do I say that its prominence and dominance make it God's only vehicle for the gospel. What I do say is that looking back, it is hard to deny that Western Christianity is one of the most important and durable expressions of Christianity. Given the purity of the gospel that was retained or recovered in the West, and given the amount of time it has remained in the West, we should not be surprised to find cultural forms in the West that express Christian reality in a way that younger Christian cultures simply cannot match. It is not that we aim to do a complete transfer of these forms. However, since we have the results of a millenia and a half of Christian imagination in the West, we would be foolish to ignore such examples when attempting to see Christianity planted in cultures completely devoid of Christian categories. While you do not claim that Western Christianity is the only authentic expression of biblical Christianity, you do imply that the cultural heritage of the West has received a kind of divine imprimatur (third paragraph from the end). It is certainly true that God preserved the gospel in the West, but I would suggest that the preservation of true Christianity in the West happened as much in spite of Western culture as because of it. Thus, I'm surprised to hear that the principal Christian tradition that arose in the West can be considered exceptionally pure. The elephant in the room is, of course, the syncretism of the Roman Catholic Church. The Reformation rejected not only Catholic distortions to the gospel but also much of the accumulated Western cultural heritage. For example, if you visit the preserved Reformation church sanctuaries in Switzerland, Germany, and Scotland you'll notice the starkness of the architecture and the lack of adornment. The Reformers attempted to visually contrast the unadorned gospel with the cultural baggage of the Catholic West. Of course, the Reformers were not able to escape their culture entirely, but they certainly believed that there were harmful cultural elements in Western culture. If I may make one more comment, it seems strange to assume that there is a "West" in the first place. Of course I recognize that there is a cultural tradition that we label Western, but we have to avoid thinking of the West as a single, homogenized cultural tradition. The broader a label, the more general its definition. The "West" is nearly so broad as to be functionally useless. Which West are we talking about? The pre-Reformational Catholic West? The Counter-Reformational West? The Protestant West? The Anabaptist West? The cleavages cross more than just religious lines: there is Baltic versus Mediterranean, romance versus germanic, West-ward looking versus East-ward looking, and the list could go on and on. I can't help feeling that you're finding what you're looking for in my post, and not responding to what I have actually written. To say Providence extended to the fact that the West preserved the gospel/biblical Christianity and that it produced forms which best expressed it is not the same as saying the cultural heritage of the West received 'divine sanction'or 'divine imprimatur'.That's a leap which you've made. Providence refers to the decretive and preceptive will of God; therefore I made no statements about how much of the Western cultural heritage God was pleased with. He was pleased to use it, and that's my point. Anyone who believes the gospel and wants to study how it came to him is more than likely going to end up studying Western Christianity. Anyone who is going to take the gospel to another culture ought to study it, even if for nothing more than curiosity as to why the gospel seemed to do better there. If you want to make the argument that the East preserved and produced a parallel situation, I'd be interested to hear it. Most historians I've read recognize that something in the West preserved the gospel, or at least provided a favorable environment for a Reformation. You say that this was in spite of the West, not because of it; I would say that since no Reformation came to the East, the burden of proof is on you to prove your assertion. Nowhere have I said that the cultural heritage of the West is 'exceptionally pure'. Writers on this site have repeatedly made the argument, as have others (see Bauder, "How Christian Were the Middle Ages?") that the Medieval era was theistic, even if most people were unbelievers. No one I know of believes that there was a pristine 'gospel culture' in the West. Obviously the Reformers jettisoned whatever parts of the RC tradition that they deemed pagan. You'll notice that they also kept a bunch. The point is, where else did people like Wycliffe, Hus, Waldo, Hubmaier, and Luther come from? They came from the cultural and religious heritage we consider 'Western'. The West provided categories that evidently Providence used to sustain and restore the gospel. While conceding that the 'West 'is a broad category, I'm not sure if you are simply asking the question rhetorically or seriously. If seriously, how would you make sense of a book on the Eastern Church? East of what? East of the Anabaptists? East of the Protestants? East of the Caucasus? Rome? Constantinople? Which Eastern Church? Assyrian? Coptic? Eritrean? Ethiopian? Slavic? Oriental? The same kind of questions apply, if we use that reasoning. Bottom line, I think the West is still a helpful category, one that historians like Barzun and Dawson seem happy to use. David noted: "To be embarrassed by this fact [the "preservation" of the Gospel in the West] would be to disdain providence." I would suggest that the above view of this fact would be to presume extra-biblical insight into the providence of God. The fact that the Spirit would lead to the stirring of the Reformation is simply amazing. The fact that God would use the milieu of the legalistic anti-Gospel anti-Christ RCC in the feudal kingdoms and provinces of Europe is simply miraculous. My only explanation can be: Grace. To presume upon the culture of the West vs. that of the East is simply a presumption (and possibly a heretical one, depending on your understanding of grace). I regret using the words "exceptionally pure." A better choice of words would have been "I’m surprised to hear that the cultural forms which arose in the West should be considered normative models for how we conduct modern missions." What you call a leap was my attempt to make explicit what I believe that you are arguing implicitly. I'm not trying to put words in your mouth, but I suspect that your argument is predicated upon presuppositions that you might not be conscious of. Although you have responded that you do not believe that the West is somehow specially privileged by God, your language continues to say just that: "the West preserved," "it produced forms which best expressed it [the gospel]." Certainly the church was preserved in the West and God used Western cultural forms to do so. But that is a very different thing from assuming that God necessarily did so. In other words, God happened to choose Western cultural forms to preserve a large segment of the church, but this does not mean that He must use Western cultural forms to preserve the church in the future. Indeed, the spread of Christendom in the global South boggles the mind, precisely because it has primarily occurred through indigenous evangelization and not as a result of Western missions. In 20th century Africa alone, Christianity has increased something of the order of 4200%, from 9 million Christians in 1900 to 380 million in 2000. (pulled from Joel Carpenter and Lamin Sanneh "The Changing Faces of Christianity." Here's a great little summary of their basic arguments: http://www.calvin.edu/news/2004-05/changing_face…. .) Already we have a number of African missionaries trying to share the gospel with a soulless America. Even more impressive is the example of South Korea, the nation with the highest percentage of the population engaged in global Christian missions. Western cultural forms will become just one (perhaps even a minor) cultural tradition in a future Christianity that is predominately non-Western. In a deeply ironic turn of events, future Western Christians will likely endure the embarrassment of having non-Western Christians tell them that their culture is perverse and contrary to the gospel. The gospel is no longer something that a "Christian" West deigns to share with a pagan East or South. The Pax Americana will go the same way as the Pax Britannica and the Pax Romana before it. And you know what? That's okay. The church will continue. The gospel will not fail. The Christian faith is amazing precisely because it is culturally transmutable; no single set of cultural forms can make an exclusive claim to fully represent the faith, thus ensuring that our faith in Christ remains certain while cultural forms come and go. If we wed the gospel too tightly to Western cultural forms, we run the risk of mistaking Western cultural forms for universal, Biblical norms. "Eastern Christianity" is simply my way of saying that there was a collection of churches – with remarkable cultural diversity – that was located East of the Roman/Byzantine core. I'm not employing East as a label for a shared, Eastern culture. Your use of the West is qualitatively different. The West is not only a collection of churches in the West, but a shared cultural heritage. This does not mean that "West" and "East" cannot be used as descriptions of cultural traditions, but they are oft-abused terms and must be used with care. A final rejoinder from my side. I think this will hopefully clarify where we agree and disagree. Western culture as normative? No. Western models as examples? Yes. I've given reasons why I think every Christian should be exposed to them at some point. Western forms showed some resilience through RC apostasy, dead scholasticism, extreme pietism, the Enlightenment. Similar or equivalent forms in other cultures will probably stand them in equally good stead for whatever they face, so I argue for at least exposing new Christians from other cultures to examples of what the West did. You can argue that this was God moving directly, and Western forms had little to do with it. Okay, we disagree on secondary causes, and the means God uses. I'm going to argue that something in Western reasoning, imagination or tradition allowed the words of Christ, Paul and David to keep coming back up with their original power and cause conversions. Not saying the West is indispensable. Those same categories might be found in another culture. But I do think we should pause before saying the gospel is a neutral set of brute facts that can be extracted in free-floating form and given to another culture. I don't think that's a possibility, nor do I think it happens anywhere in the world. who have contributed to the faith I now believe). I am well aware of the fact that the church is moving South and East. I live in the megalopolis to which most of Africa looks economically. I have lived in the Orient. 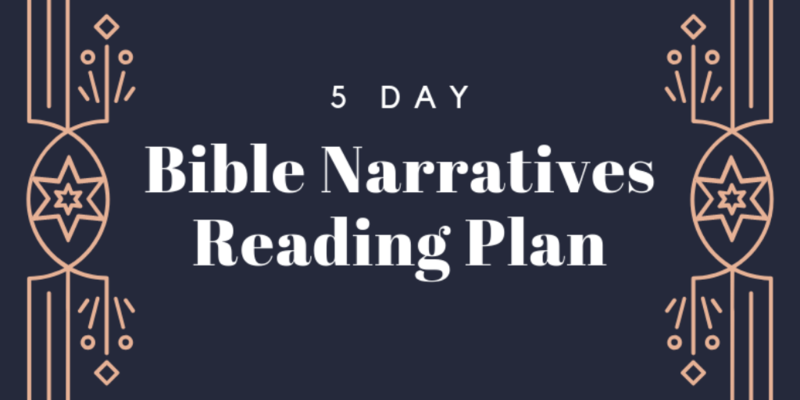 While my experience is but a sliver of what is going on, combining it with the experiences of others along with the missions books and websites, I think an observation or two is in order. Christianity is definitely growing in Africa, South America and Asia. But what kind of Christianity is it? Is it Pentecostal? Modalistic? Arian? Syncretistic? Health and Wealth? Baptistic? Is it doctrinally robust? Has it understood the progress of doctrine in the West, so it does not have to re-invent the wheel on issues like the Trinity, deity of Christ, inspiration of Scripture, salvation by grace through faith alone? The jury is out on this question. The growth is explosive, and who amongst us would not rejoice? I think it is a little too soon to say if this explosive growth will become deep-rooted, mature Christianity, capable of surviving and overcoming the ever-present Western secularism and mass culture. Yes, the gospel itself will never fail. (BTW, I am NOT saying that Western Christianity as it exists now in the form of mass culture and secularism is to be the model for missions. The Western church as it is now is in as dark a state as you can possibly imagine, and the less of that transplanted to the rest of the world, the better.) I just do not know how God will shape and guide the church in the future. But whatever culture it arrives in should, at some point, read some of Polycarp, Augustine, Athanasius, Wycliffe, Aquinas, Luther, Calvin, Rutherford etc. Even if you don't think it will stabilize and mature their churches, you'll have to admit they should at least look at the family photos. Living in the city which is something of a missions centre for the rest of Africa, I have to say that the missions books make things seem a bit more exciting than they look on the ground. I am very often disappointed with the quality of church being planted in the Third World. Yes, I'm aware of significantly positive things happening in Zambia and even Nigeria. (Surprise – much of the robustness of Zambian Christianity comes from a rootedness in Reformed theology, a Western systematicization of biblical theology if there ever was one. ) But I would be a lot happier to know that the Christianity taking root in the South and East is doctrinally and affectively robust. I don't care if it resembles Western Christianity at all. I do care if their cultures contain necessary forms to clothe and embody and illustrate the truths of Scripture. My whole argument in part 4 was to make the point that "if we wed the gospel too tightly to Western cultural forms, we run the risk of mistaking Western cultural forms for universal, Biblical norms." I was saying, as a Westerner, become aware of the whole Western tradition, so you can discern what is permanent and worth transplanting, and what is not. If you know the Western tradition across the centuries, you'll understand what is truly catholic. And you'll be ready to plant a non-Western church. This was my argument all along, and it is strange to see comments (not yours, Paul, in this case) which knee-jerk react to something I'm not saying. It's as they hear anything calling for some reverence toward the tradition that nurtured us, and they see visions of neo-colonialist bigots who want to go elephant hunting and heathen-shooting while they build a pipe organ in the middle of a village. Odd. Not sure what magazines they read. At any rate, Paul, it turns out we agree on several matters. I would encourage you to consider that the gospel does not travel in the garb of nuda scriptura, and consider what categories need to be in place for it be understood at all. I'll do my homework on the Eastern church. Just a quick illustration and anecdote, if I may. Illustration: Paul. would you deny that God, in his mysterious providence, preserved his Word largely in the West? I may be wrong (I am no expert on this), but it seems to be that the preservation of manuscripts of Scripture and then later good translations of the Bible was accomplished primarily in the West. If (I speak as a fool) the Bible had not been preserved in these forms in the West, would the Bible have been preserved at all? To me this is just another example of God choosing to use one culture in a particular period of history to preserve his truth. May he choose to change that? Certainly; I might suggest that he already is. Perhaps he is writing Ichabod over the door of the West and turning his attention to the global East or South. Perhaps he is choosing to focus on multiple areas. Only he knows. But I agree with David that it seems to make sense that those cultural forms that were nurturned and cultivated by those who preserved God's Word (for whatever motive) should be at least considered good examples of what a Christian culture might look like. Anecdote: It is interesting that you mention that South Korea has the greatest percentage of global missionaries at present, a statistic I recently learned myself. Here's the question: who evangelized them? Missionaries from the West. And I have many Korean acquaintances (there is a large Korean student population here at Southwestern) who tell me that 1) those American missionaries simple planted American churches in Korea, using American gospel songs as the primary body of congregational song (a bad move, in my opinions), and 2) Korean missionaries are now spread across the world planting AMERICAN CHURCHES! This is not good, in my opinion, but I'm not sure your rosy view of Eastern and Southern indigenous church planting is as true as you might imagine. Argument from preservation: The texts that comprise most modern versions of Scripture originate not from the West or even from Greece or Rome, but are from Egypt. An argument as stated above smacks of the faulty KJVO arguments for divine preservation of the Byzantine (more Western) texts alone. They would argue based on the growth of the church, Reformation, etc. that God chose one stream of MSS to preserve His truth. You, in turn, based on similar circumstantial evidence, argue that God used one culture to preserve His truth. Scott: "it seems to make sense that those cultural forms that were nurturned [sic] and cultivated by those who preserved God’s Word (for whatever motive) should be at least considered good examples of what a Christian culture might look like." So, for example, you would look to men like the Reformers as a good example for Christian culture? Maybe we, like Calvin, should burn heretics. Maybe we, like Zwingli, should drown fellow Christians that disagree with us regarding the mode of Baptism. I'm not sure that your "rosy view" of Western "Christian" culture, even post-reformation, is as true as you might imagine. David: I think we can both agree that there is much valuing in studying Western cultural forms while keeping in the back of our mind an awareness that those forms were sufficient, though not necessary, for the preservation of the Church. Scott: I'm by no means a textual scholar, but I do believe that most of the manuscripts that are used in our modern translations of the Bible come to us from outside the West. PhilipT referred to the Alexandrian manuscripts from Egypt. There are also examples of Bibles that have survived wholesale in the Eastern churches like the Coptic Bible. So, yes, I think that if the West had remained pagan we would still have God's word today. The effect of Western missions is debatable and variable. I'm of the school of thought that alien missions efforts have marginal effect; rapid evangelization most commonly occurs when the gospel is indigenized, when it becomes integrated into a culture rather than standing off to the side as a foreign other. Korea is a perfect example of this. Yes, Presbyterian missionaries labored extensively in Korea throughout the late 19th century and by the end of World War II the Christian percentage of the population was in the single digits. But during the 1960s-80s Korea experienced a "Conversion Boom" and today nearly a third of the nation is Christian. The standing explanation of the phenomenon was the linking of Christianity and nationalism during the Japanese occupation (there are some truly inspiring stories of Korean Christian civil disobedience), a linkage that occured when there were effectively no Western missionaries in Korea. All of that to say, Christianity went from a marginal, foreign religion to a central, Korean religion because of indigenization.